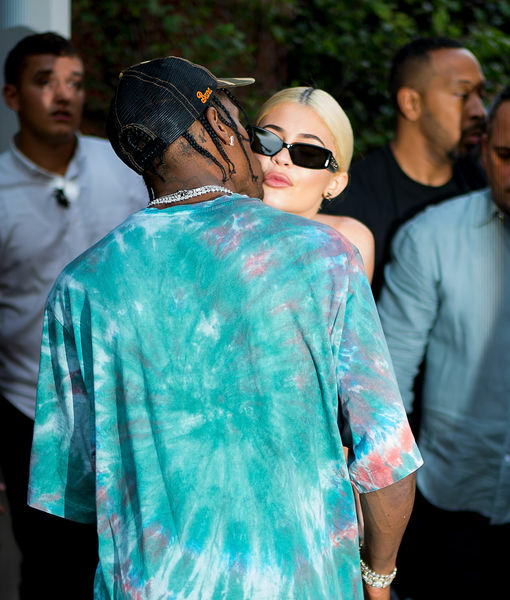 Kylie Jenner and Travis Scott have bounced back nicely from a hoax that claimed he was cheating — and they're showing their devotion in a very Christmassy way! Us Weekly reports the superstar couple, the proud parents of baby daughter Stormi, have gifts to each other marked "Wifey" and "Daddy" under their tree. According to Kylie's Instagram Stories, the pressies are "the first two gifts" of the year. What could those be? Jewelry, maybe? In keeping with their blingy taste, the tiny packages are in gold paper with gold trim. 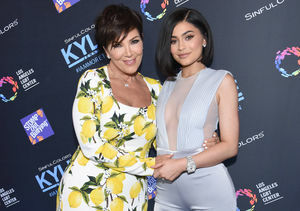 Kris Jenner Reveals She Delivered Kylie Jenner’s Daughter Stormi! Sis Khloé weighed in, offering her support with the comment, "People are absolutely disgusting! The mind games this would do to somebody… That is so completely not OK! This person should be so ashamed of themselves! What filth." ... and Merry Christmas to all, and to all a good night! Khloé's Post-Baby Bod Is Hot in Pink! 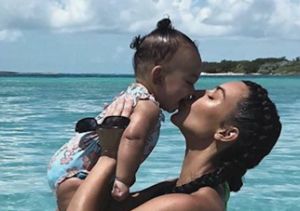 Kim Kardashian Shares Adorable 'Triplets' Pic! Cover Girls: Kylie Takes Baby Stormi on Magazine Run!